My mom, Kiki, as most of you know her, is one of the sweetest women you will meet and she is always willing to lend a helping hand. If you've ever had an interaction with her, you will know that she always goes above and beyond to treat everyone with kindness. She always has a positive and upbeat attitude with a smile on her face. She has 6 kids and 5 grandkids, whom are her pride and joy and she loves and cherishes with all of her heart. Many of you met my mom over the years because of my dad, Bill, and his work in the music industry. She, herself, has worked hundreds of concerts and has been a part of the Chicago music scene for decades. Two weeks ago, while working an outdoor music festival, my mom was one of a handful of people who was sprayed with an unknown substance without consent. She didn't initially realize why she was feeling off after being sprayed, so she went to her car to cool off. Once there, she was in a state of paralysis and experiencing terrible side effects, alone for hours. As a result of being sprayed, she was in respiratory distress and having severe heart complications, due to her inability to breathe. Phone service was bad where she was, but by the grace of God, she reached my sister, Rachel, who started calling authorities and other employees working the festival to go to her aid. That phone call is what saved my mom's life. When medics got to her, her oxygen level was at 65%. 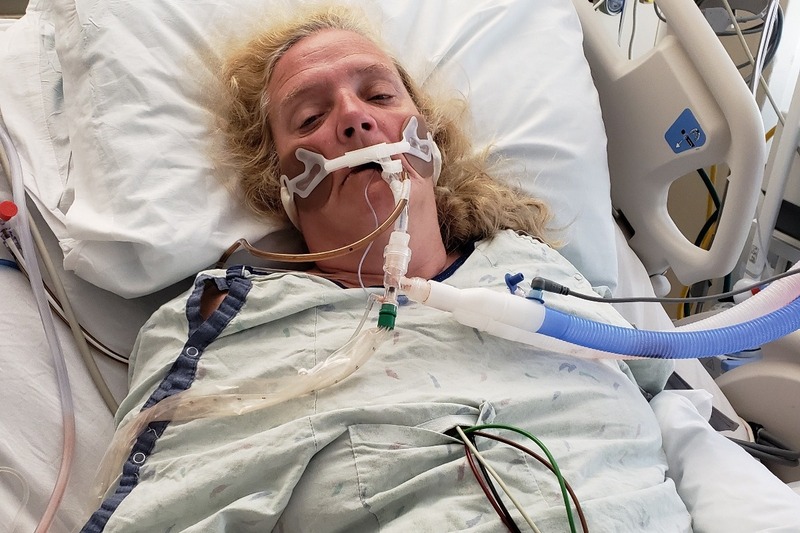 By the time she was finally rushed to a nearby hospital, her oxygen had dropped to the low 20s and she was turning blue. The ER doctor made the decision to intubate her because her respiratory system was shutting down. After intubation, she was rushed to another hospital better equipped to treat her situation. She was admitted to the ICU and on a ventilator. She was near death and surrounded by family, but her fight mode was in full force. Despite some setbacks while in ICU, with her undeniable will to live and the endless love of her family, she progressed quickly. My mom has a long road to recover from this terribly traumatic tragedy and per her doctor's orders, her body needs time to heal from this near death experience. To make matters worse, she received a letter from her insurance company stating that they are denying her claim and covering nothing. Therefore, the out of pocket costs for medical care and ongoing treatment, including seeing a cardiologist and pulmonologist, along with covering her basic living expenses, will be immense and ongoing. Our family is doing our best to make sure that my mom's stress levels stay low, but the letter from her insurance company and the advice from her doctor not to work, are causing her to worry about her current financial state. Any contribution made will mostly go towards her expected astronomical medical bills. When it comes to raising children, my mom has always said that it "takes a village". Now, we need help taking care of our mom and we need the help of our "village" to make sure that her healing continues in a forward direction. We need to keep her spirits up during this extremely difficult time. So, whether you are able to share a meal, an hour of your time visiting with her, a prayer for her healing, a plate of fresh baked cookies, a giftcard for groceries, a monetary contribution, flowers, or snail mail to make her smile, please know that you are appreciated. We are grateful for the small things, the big things, and everything in between. We are grateful for life. We are grateful that our mom is still here with us. Her strength to overcome this nightmare was, and still is, amazing.